Patients who have had medical, cosmetic facial treatments or procedures (e.g. laser therapy, surgical procedures, cosmetic filler, microdermabrasion, etc.) 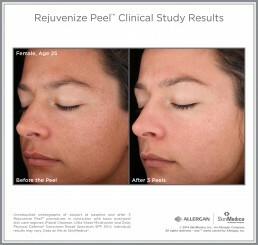 should wait until skin sensitivity completely resolves before having the Rejuvenize Peel™ procedure. Patients who have had cosmetic injections should wait until full effect of their treatment is seen before receiving a Rejuvenize Peel™. Receiving Rejuvenize Peel® for the first time. 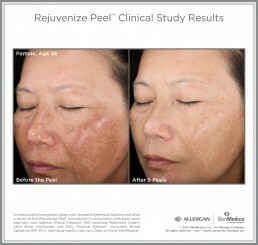 For maximum results, the Rejuvenize Peel® can be applied every 4-6 weeks until desired results are achieved. 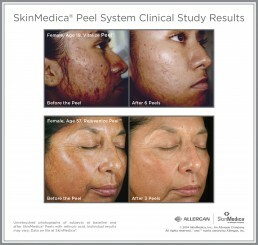 Results are cumulative and maximum benefits are seen with a series of 3 or more peels.